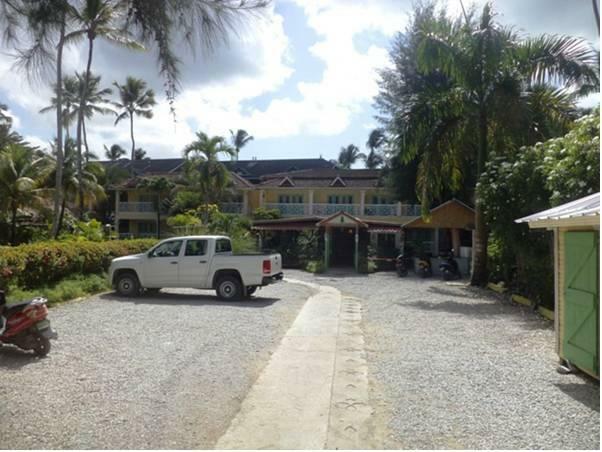 ﻿ Best Price on Los Pinos in Las Terrenas + Reviews! Set next to the beach in Las Terrenas, Los Pinos is surrounded by tropical gardens. It offers air-conditioned rooms with free Wi-Fi and views of the gardens and sea. Each bright room at Los Pinos features a terrace with sea and garden views. It offers a mini-fridge, cable TV, free Wi-Fi and a private bathroom. The on-site restaurant specializes in international cuisine and there are 2 bars. BBQ facilities are available in the garden, and you can also find restaurants and shops in El Paseo de la Costanera Shopping Centre, less than 2 km away. Colibrí Beach is just 3 km from Los Pinos, while the Epona Ranch is 14 km away. El Portillo Airport is 4.5 km away, while El Catey International Airport is 25 km away. Please note that the usage of the air conditioning has an extra cost of USD 15 per day.